July | 2011 | NICE! 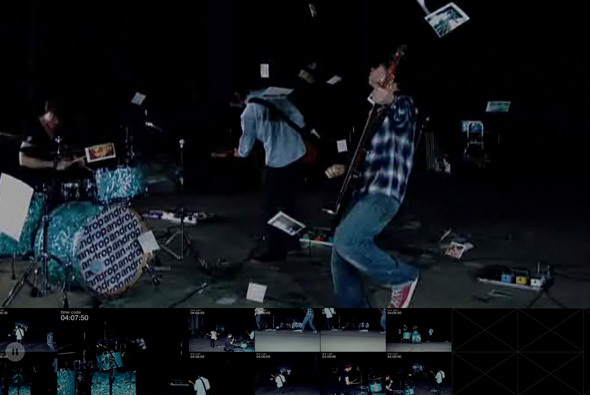 Music video from Japanese band Androp. Using 250 Canon EOS DSLR cameras to take photos as they band performs their song ‘Bright Siren’. 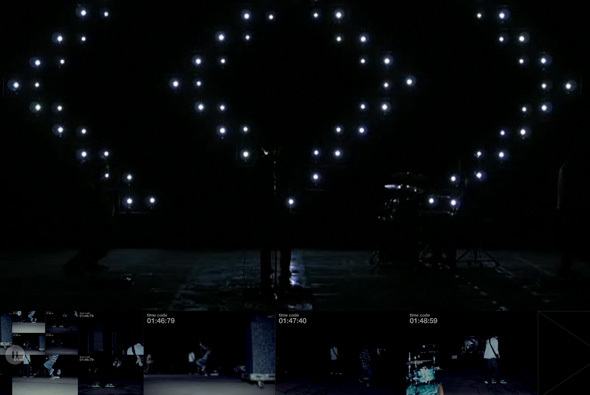 The flash units all fire off synchronised to make swooping patterns and effects – the resulting images stream across the bottom of the screen as the video plays. 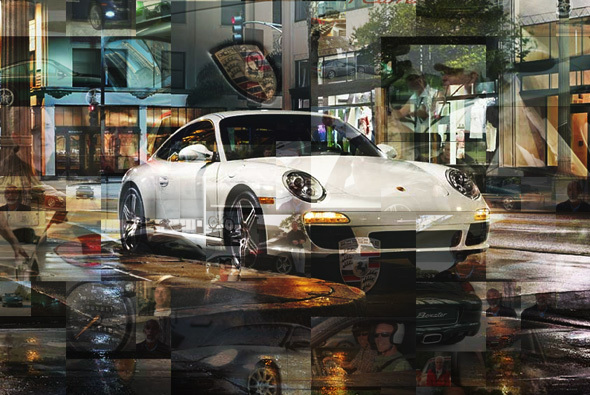 Love the way the images appear on the bottom – could be more interactive but the result looks great. Another cool music video which works on and off the web. 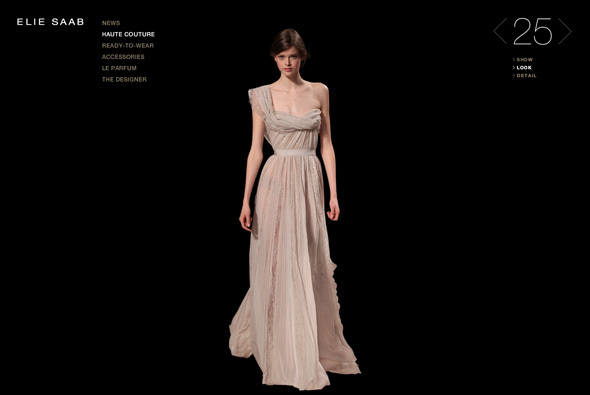 Website for designer Elie Saab, showcasing his collections. 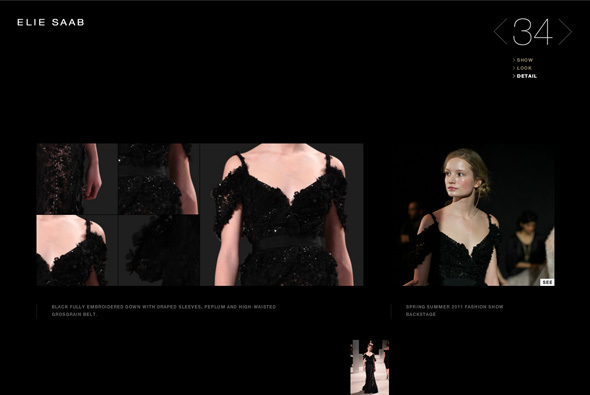 Nicely made site using full screen video to show catwalk shows of the clothes, I like that you can skip to each outfit and see detail shots and sketches – seamlessly swapping between it all. Nicely crafted and good minimal interface. Site of French interactive studio Werkstatt. 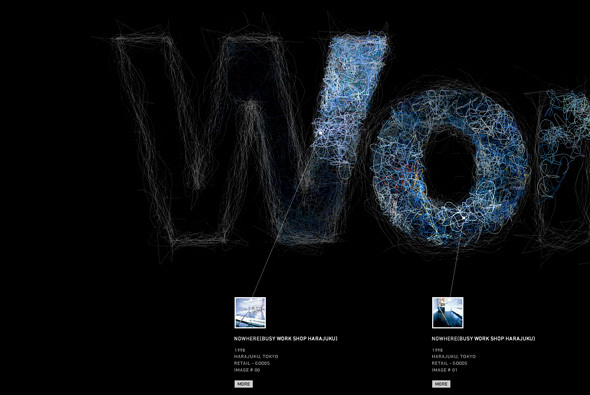 Beautiful scrolling system for looking through their portfolio – quite original. 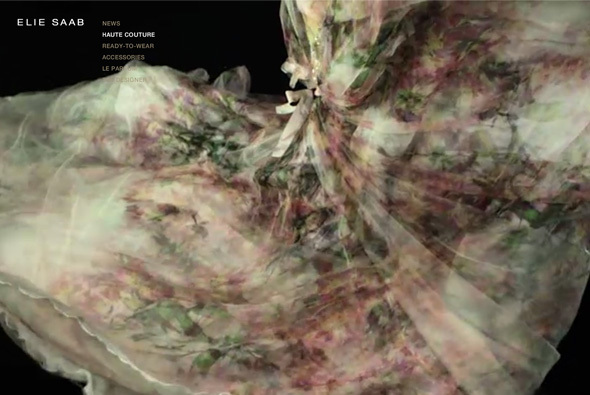 Like the way they present the projects through videos and in-situ screenshots. Great design and all crafted to high standards. 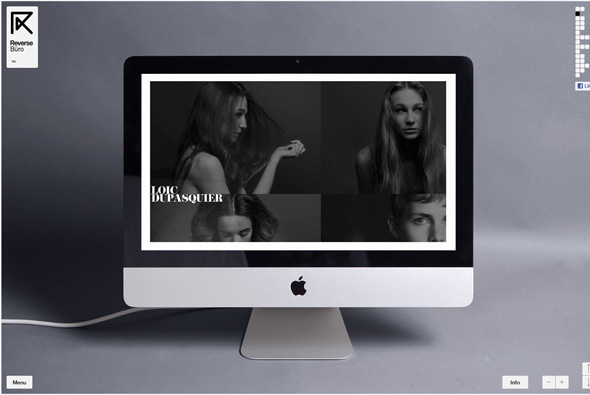 Portfolio of Loïc Dupasquier, designer & art director from Switzerland. Simple minimal site, nicely presented and the cool scrolling system works well where the whole screen moves to the next item. 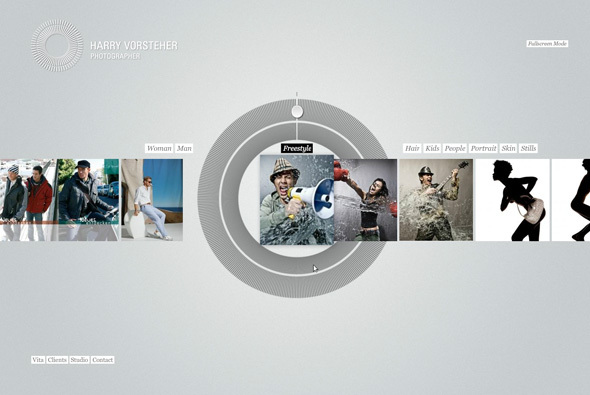 Portfolio of Harry Vorsteher German photographer. Nice minimal interface allow you to explore his photography either by dragging a circular wheel or by clicking, nice full screen images and panning. Like the way each image has a background to fit the image, going back blurs the image making a nice backdrop for the menu – makes it more dynamic. 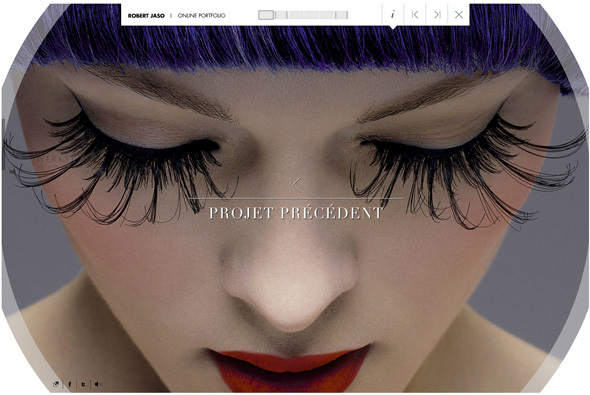 Nice photography portfolio in a well designed site. 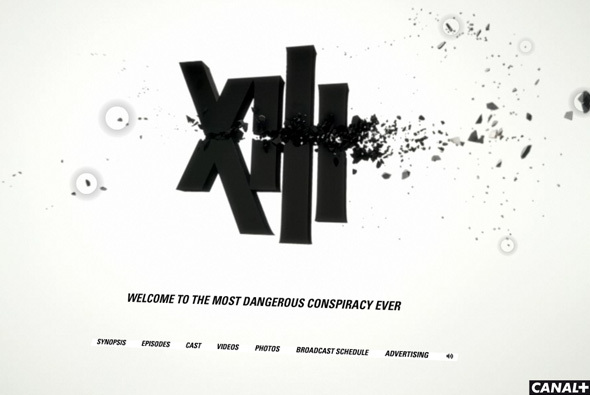 Site for new French action show ‘XIII’ made be Canal+. Although it is simply a video introduction to the show, the videos are slightly interactive and it all has a nice 3D parallax effect which is fun to play with. Strong black and white design and a nice little site. Created by BETC Digital and Circus. Beautiful screensaver for Japanese interior design firm Wonderwall. 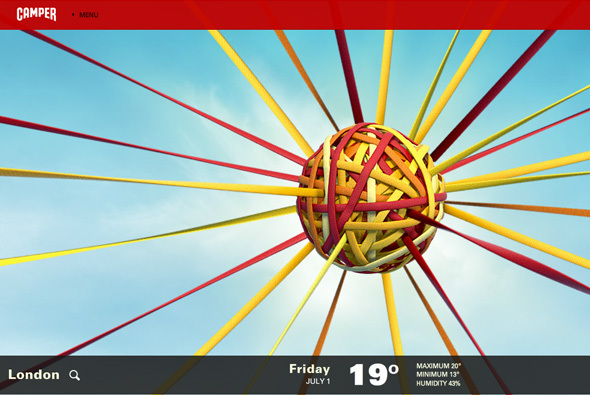 This screensaver is to celebrate an exhibition showcasing Wonderwall’s work. Thumbnails from the projects scroll past with the name of the firm, and small lines drawing the word constantly redraw, taking the colour from the pixels in the photograph making a stunning effect. Nice minimal interface and smooth animation where it all scrolls past all combine to make a sublime screensaver. 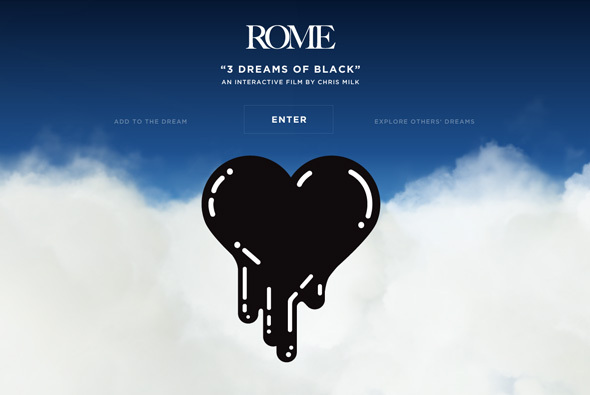 Crafted by the legend that is Yugo Nakamura, tha ltd.
Groundbreaking site promoting Danger Mouse and Daniele Luppi’s new album ROME, an interactive 3d music video. 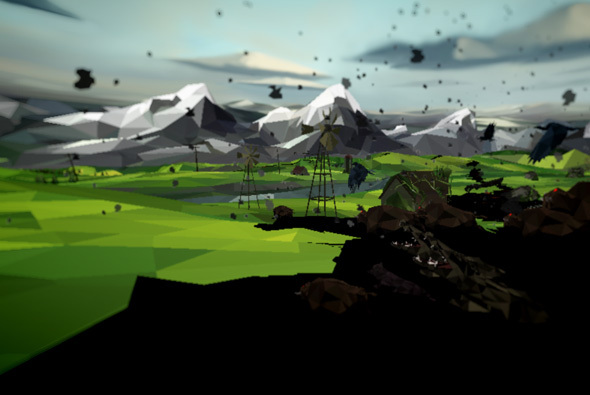 This is the future of immersive web technologies, lately several sites have used WebGL to power 3d web based experiences – so far this is the best and most creative use I have seen. Directed by the talented Chris Milk, who previously also worked on the ‘The Wilderness Downtown’ project, amongst others. In joint conjunction with Google to also promote the Chrome browser – it works best in Chrome – sadly not at all in some browsers. 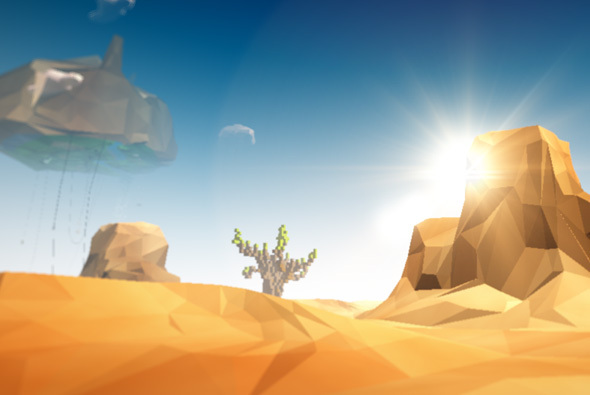 Mixing drawn scenes, video, music and 3d elements – it is one of the most immersive cinematic sites I have ever seen. You control your perspective in each scene, viewing through the eyes of the main character. 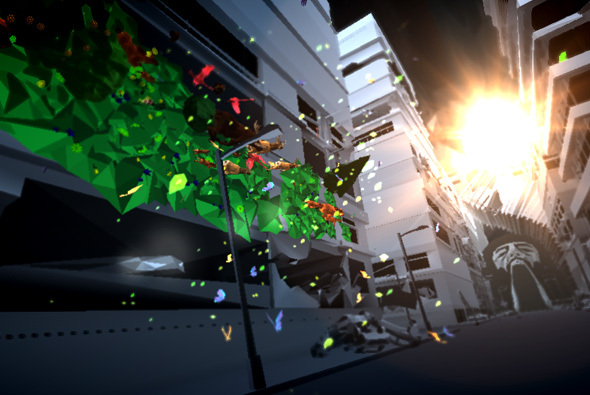 In several scenes such as driving through the crumbling city, where you point your mouse 3d animated objects come flying out of the walls. It is not just the execution but the entire idea and the scenes, music, everything really – it is quite beautifully realised. 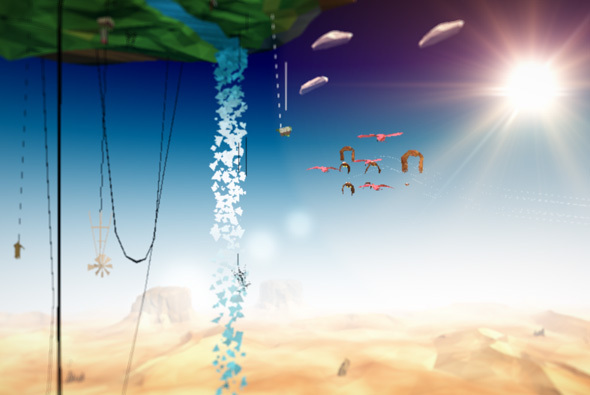 There is even a section where you can add your own created objects into one of the scenes, so it is constantly evolving – the detail and thought into this all is truly staggering. It reminds me of the days of the internet when people were making sites for the sheer interactive experience of it all, to push the boundaries and try new things that have yet to be seen. In some ways it reminds me of the also groundbreaking site of the film, ‘Requiem for a Dream’. This is truly inspiring unforgettable experience, coupled with fast, smooth, ground breaking technology this is a landmark website. 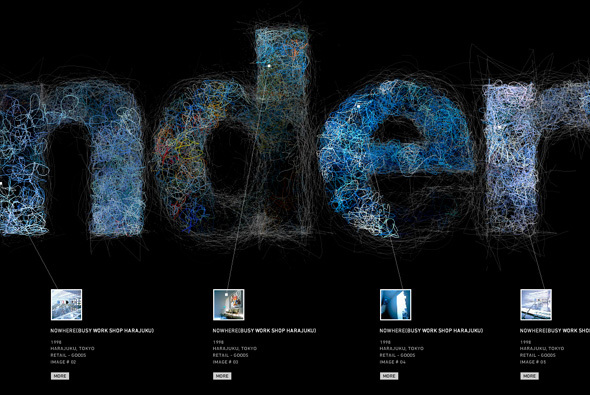 Crafted by Google Creative Lab, Chris Milk, North Kingdon, radical.media, and Mirada. Created by Cramer-Krasselt and StruckAxiom. 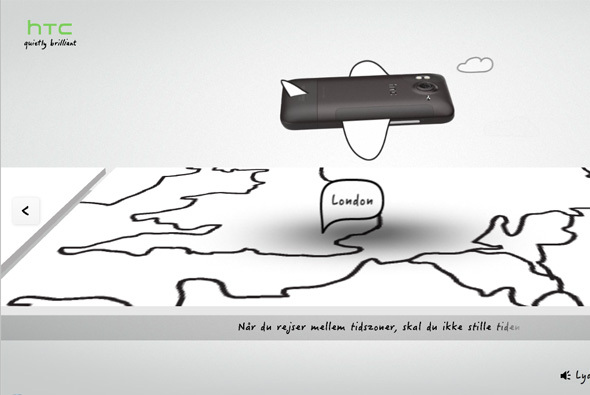 Nicely crafted site for HTC in Denmark. 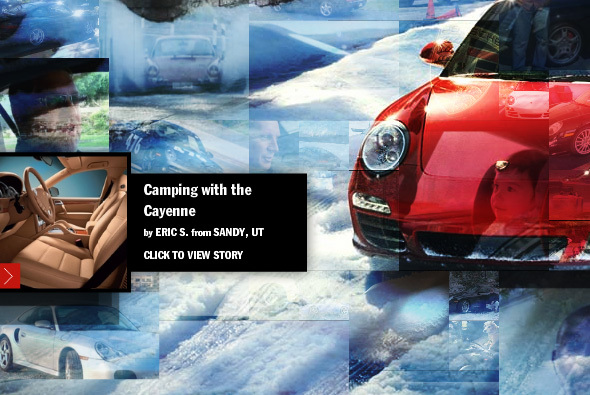 Nice 3d interface where you zoom into stories about the HTC phone and it’s features. Nice mixture of product photography and line drawings and video from YouTube. 3D interface is smooth, great transitions, and looks great. 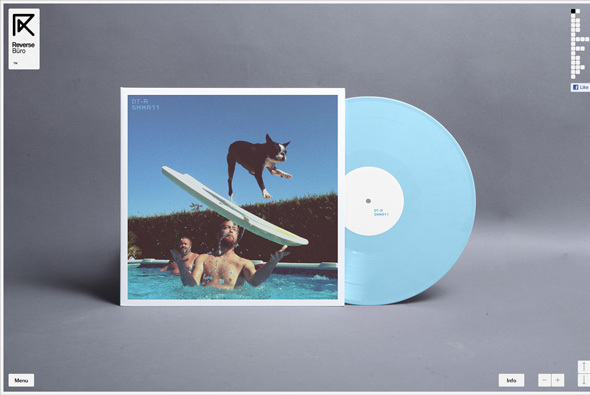 Created by relax we are the good guys, and Bocca. Site of Rohrbacher specialists in creating beautiful luxury jewellery. 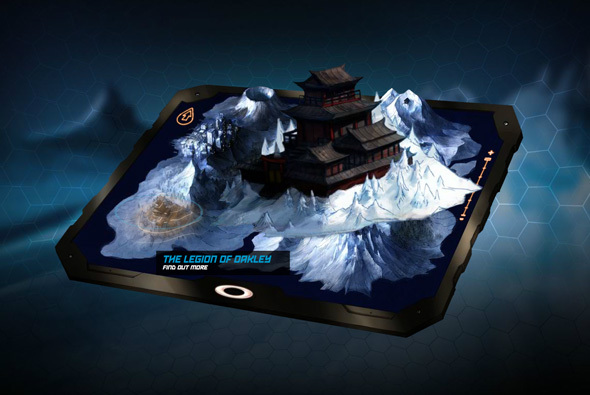 Set in an elegant design and layout, gentle transitions and detailed high res visuals. 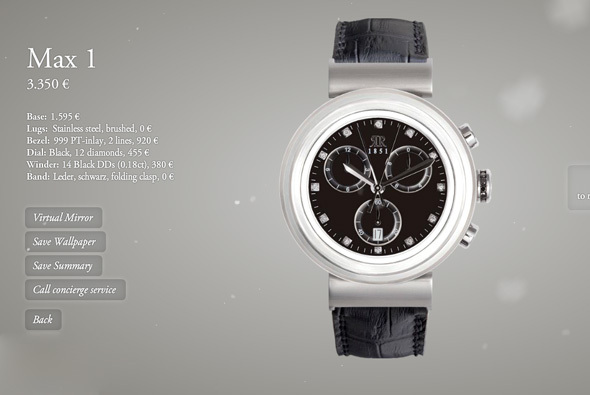 There is a section where you can customise watches, changing the strap, facade, and so on. Beautifully made and realised. 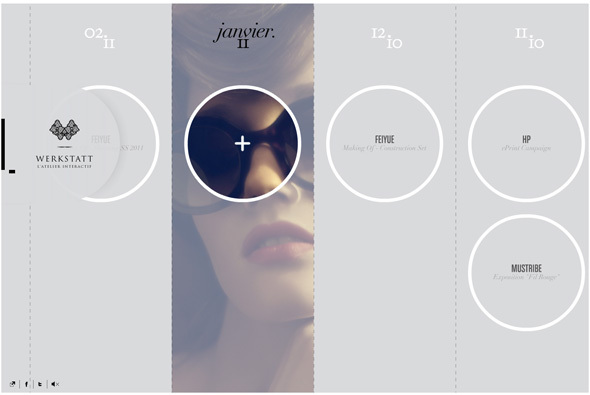 Beautifully crafted weather forecast app and site for clothing label Camper. 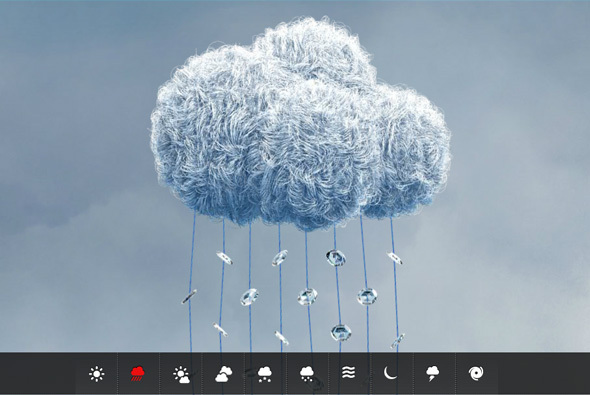 Proposing that all weather forecasts are boring Camper have made this lovely little site and app where you choose your location and a fun interactive animation plays showing the current weather. For example the sun is made from shoes laces, when clicked plays a harp sound, when it is raining you can interact with the laces resembling rain. Incredible attention to detail down to the icons, sound, animations, transitions, it looks fantastic – really nicely designed. Created by Herraiz Soto & Co.
Site promoting the team riders for Oakley, and their team rider product range. 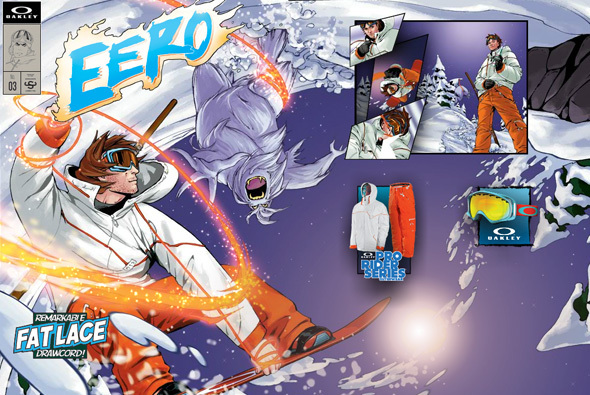 The riders have been drawn and short interactive comic strips made to highlight the products key features. Really nice style, great 3d perspective on the animated comics, all round well executed and nice visuals. The official website of Zahia Dehar, a lingerie model. However you look at it, it is beautifully crafted site – when you zoom in to an image it is separated and animated into different depths really stunning. Featuring photography by Greg Williams, Nick & Chloe, and Pierre & Gilles. 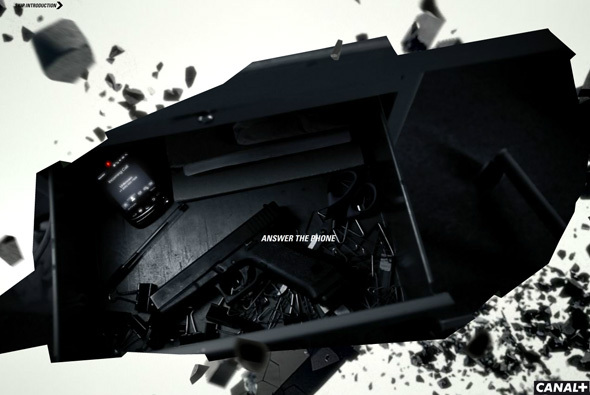 The transitions and attention to detail are excellent, well realised.